La Mission du L'Atelier | Chicago's Pipe, Cigar & Tobacco Store | Iwan Ries & Co.
La Mission du L’Atelier was inspired by the strong and hearty wines of France. L’Atelier is known as a small batch producer of exquisite cigars, and with Mission du L’Atelier they’ve outdone themselves. 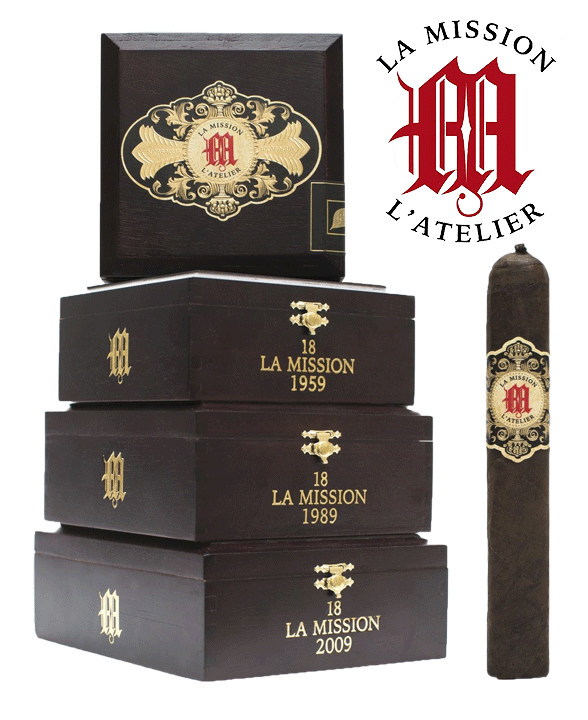 La Mission du L'Atelier received Top 25 honors for 2015 (#17 overall) and a well-deserved 93-rating noting: "The blend is impressive, especially in the 1959 size, which shows a savory, leathery note, sweet baking spices and a touch of anise."